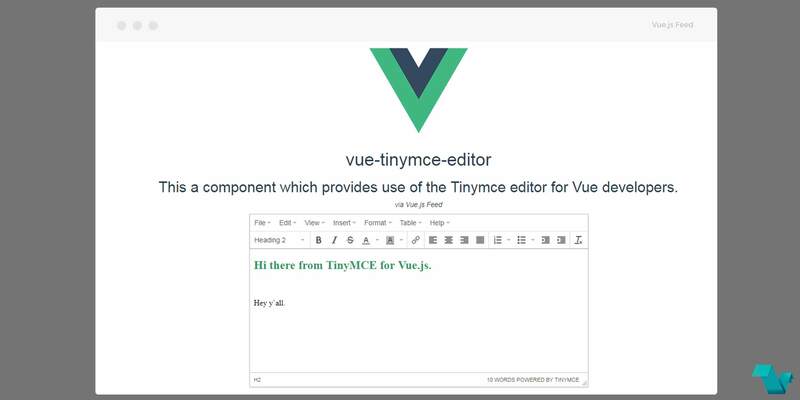 A Vue.js TinyMCE Editor Component which provides easy use of the TinyMCE editor for Vue developers. TinyMCE is the world's #1 web-based HTML WYSIWYG editor control. You can integrate the TinyMCE editor with ease and use the available options from the official editor docs along with the props that exist in the component. 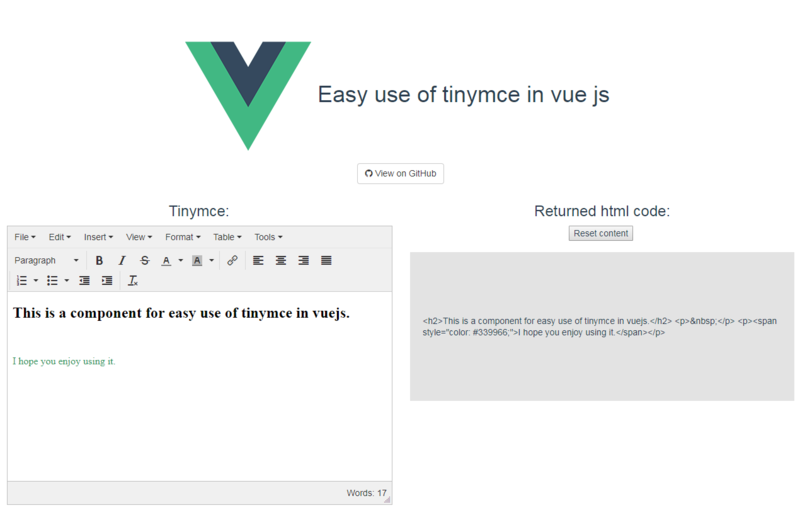 To start working with the TinyMCE Editor Component use the following command to install it.